South Africa's Kagiso Rabada was cleared to play the two remaining Tests against Australia after winning an appeal against his ban for a shoulder barge on Tuesday. 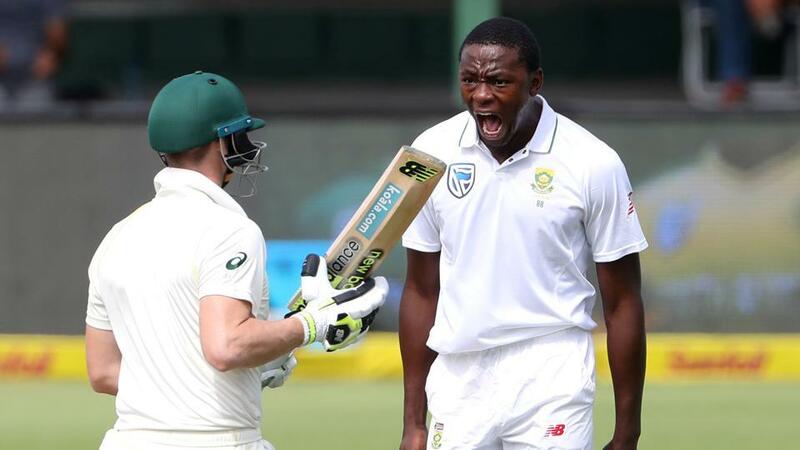 The International Cricket Council said Rabada had been found not guilty of making inappropriate and deliberate physical contact with Australian captain Steve Smith during the second Test in Port Elizabeth last week. Judicial commissioner Michael Heron of New Zealand found Rabada guilty of the lesser charge of conduct contrary to the spirit of the game following an appeal hearing on Monday. Heron reduced Rabada's penalty from three demerit points to one and reduced his fine from 50 percent to 25 percent of his match fee. Rabada's total of demerit points was therefore reduced from nine to seven, one short of the threshold for an automatic two-Test ban.